Booking a business trip to stay away from home long-term can be an especially stressful situation. On the one hand, you want to make sure the place you stay is within close enough proximity to the office, so you won’t be spending an excessive amount of time traveling or sitting in traffic each day. On the other hand, as important as proximity is, comfortability is also a major concern, since you’ll be spending the next few weeks calling this temporary rental “home.” There are a few options when it comes to choosing corporate housing near Pfizer, GlaxoSmithKline, DOW Pharmaceutical, and SEI, but none that quite stands out like the accommodations at Walnut Crossing. Extended stays at hotels may seem nice at first, but without the additional space, a kitchen, or even a noteworthy closet to speak of, you’re always reminded that you are not, in fact, at home. 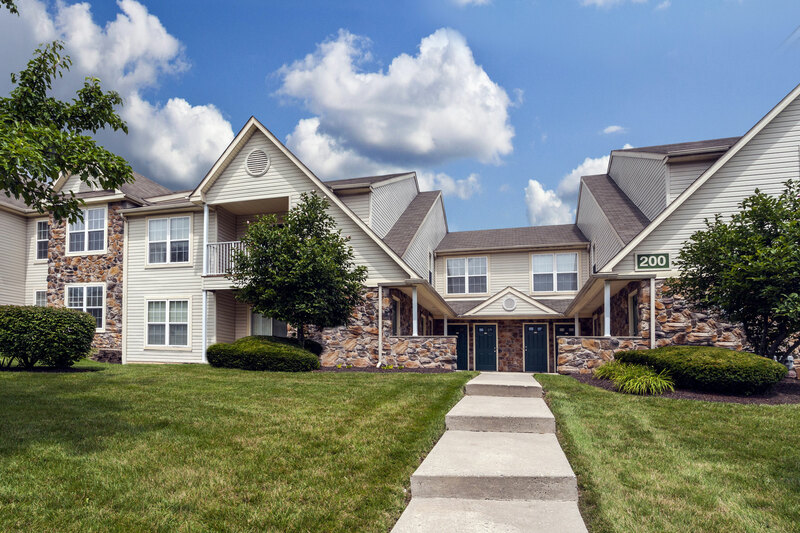 But a stay in an apartment or townhouse at Walnut Crossing feels like a home away from home. It could very well be your own pied-à-terre. You’re provided all the creature comforts you could ever want, including a kitchen completely stocked with all the appliances and utensils you could need, washer and dryer, plush wall-to-wall carpets, and televisions. As an added level of pampering, maid service is even available to help keep your place tidy amid a busy work schedule. There’s no need to come home to an unmade bed when you’ve spent the last 10 hours in meetings. On-site amenities include a fully equipped gym, with all the machines you need: treadmills, ellipticals, recumbent bikes, and even weight machines. In the warmer months, you can bring your workout routine outside, taking advantage of the tennis court and giant-sized swimming pool. At the end of the day, if all you want is to relax in your fully furnished long-stay apartment, just kick back and watch television on one of the screens provided. Customizable cable and internet packages are available, making sure you get exactly what it is you want. It’s really no contest when it comes to finding top-notch corporate housing near Pfizer, GlaxoSmithKline, DOW Pharmaceutical and SEI. The beautiful accommodations here will make you feel as though you never left your own home, making that extended-stay business trip that much more enjoyable, contact us today for availability!